Check it out at 6:55! Last night in Brooklyn, Genius held its second in-depth interview event Genius Level with legendary hip-hop producer DJ Premier. During the wide-ranging discussion hosted by Genius’ own Rob Markman, Premier addressed a question from Genius community member Skhills about his favorite unreleased record. I just did a joint with A$AP Ferg. It’s dope, it’s straight raw New York. It’s Preem Ferg, it’s not ‘New Level.’ I love ‘New Level’ and all that stuff, but it’s a Preem joint and he went in. The Ferg joint is head nod Preem, and it sounds like we connected, not Ferg over here and Premier over here, it’s merged together. It’s real simple but dope scratches. 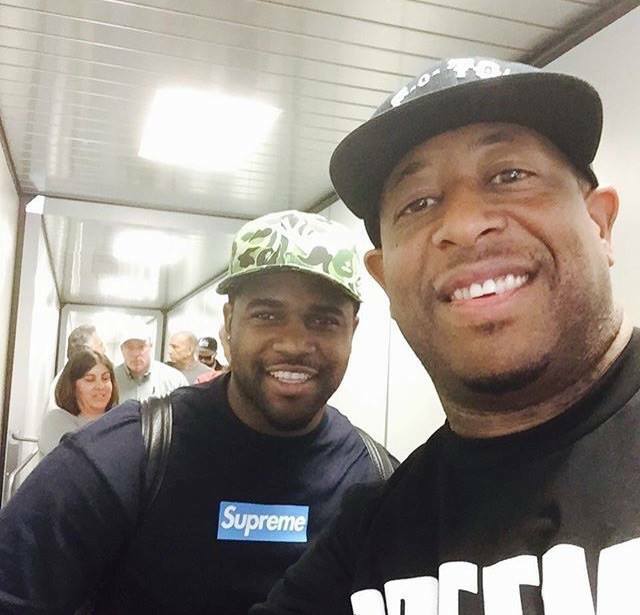 Premier is referencing Ferg’s 2015 Future collaboration “New Level,” which served as the lead single for his sophomore album Always Strive And Prosper. “New Level” peaked at No. 90 on the Billboard Hot 100 chart and was eventually certified Gold. We went in to see if we could even vibe and we clicked right away. We did it in a day and we’re like, ‘Let’s throw it out right now just to get the streets warm to show that you do styles like this as well.’ A lot of his stuff has more of a sound that’s popular with the youth right now. He even said, ‘I wanna do it like you did it ’90s style,’ and he came to the table. Ferg is gearing up to release his new mixtape Still Striving on August 18; while a full tracklist hasn’t been released yet, his DJ Premier collaboration could very well end up on that project. The unreleased track will mark Ferg’s first time working with Premier. Guru being interviewed over the phone on a small community station out in Tuscon, Arizona. You Know My Steez had just come out and Moment Of Truth was being finished up for release in March ’98. He mentions that they were trying to get Busta Rhymes on the remix for Steez but ended up going with Kurupt. He also offers up an acapella rhyme but unfortunately the dude in the studio leaves a beat playing so it ends up sounding a bit off due to the time delay on the phone and what have you.